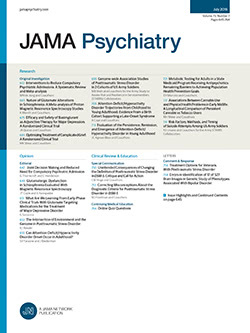 THE RECENT focus of interest in the United States upon the field of community psychiatry, and the field's resulting gain in status both among psychiatrists and the public at large, has been marked by a rapid increase in planning and construction of facilities designated as community mental health centers and by supporting legislation in a number of states, presumably encouraged by the United States Community Mental Health Centers Act of 1963 (Public Law 88-164. Less evident on the American psychiatric scene is the formulation of concepts that might give meaning to these centers as true foci of efforts to permit the psychiatrist to better understand and work with the patient and his environment as a continuing interactive system. In surveying these developments and considering the importance of establishing a clearer conceptual approach to modern psychiatry, it is timely and appropriate to review the history, operations, and fundamental principles of the field of military psychiatry which we feel are important forerunners of social and preventive psychiatry in this country.